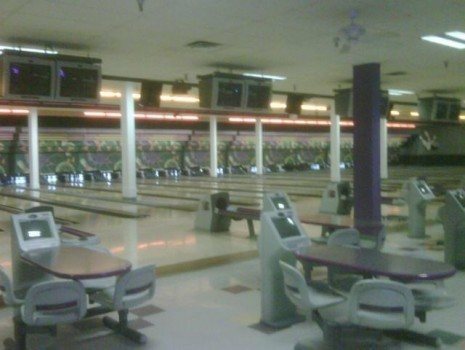 Welcome to Plaza Lanes Family Entertainment Center with 26 bowling lanes and more….. located off highway 231 south just minutes from downtown Crawfordsville. Experience the action……enjoy the entertainment. For over 40 years, Plaza Lanes Family Entertainment Center has been so much more than just a bowling alley. Perfect for corporate events and kids bowling birthday parties, Plaza Lanes staff is here to make it all happen. Groups of all sizes and ages will enjoy the clean, safe, smoke free environment of our facility. 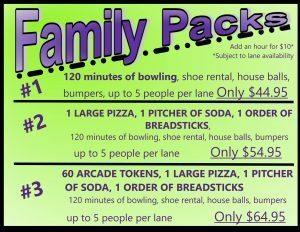 Bowling rates available here and Wacky Wednesday Specials information available here.